By now you may have heard of the craze called Pinterest, an internet site where you can browse and “pin” all sorts of pictures from food, fashion, home decor, DIY, photography, to name just a few. In case you are not familiar with this site (www.pinterest.com) here’s basically how it works. A friend invites you to get an account (don’t worry it’s free). You then have your own account where you can create different boards such as fashion, DIY, organizing tips & the like. You then browse and see what pics others have pinned. (You can also “pin” your own pics). When you find pins you like you simply “pin” that picture on one of your “boards” and voila! You then can access that picture whenever you go to your Pinterest account. Many of the pics are from blogs which is really cool, because let’s say you see a recipe that looks delicious and you “pin” that recipe, if you click on that picture many times you will be directed to someone’s blog where you can access the recipe. 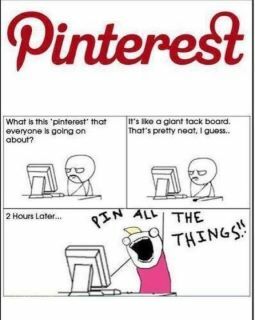 We absolutely LOVE Pinterest, so if you have not already checked it out give it a try! Lara Says: I love Pinterest because it gives me so many great iDeAs on how to use everyday items around my house and transform them into something AWESOME! Check out this wood pallet that was transformed into this amazing picture holder from AmandaCarverDesigns blog! From AmandaCarverDesigns.com found on Pinterest! yes to all of the above, I have so many pins not sure I will have the time to do them all. 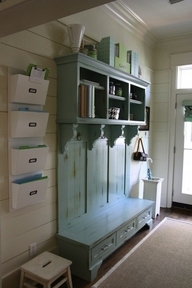 I plan on going to some house hold auctions this spring and picking up some of the items to “upcycle” into new uses. Such Fun. I hear you! I have so many pinned there is no way I could do them all! But such a great place to go to on a rainy day and pick a quick project!